Porto Carras Grand Resort consists of 4 hotels, an 18 – hole international standards Golf Course and Golf Club, the Porto Carras Domain, a Modern Convention Centre and Ìeeting facilities, a Marina with shopping arcade, restaurants, tavernas and bars. 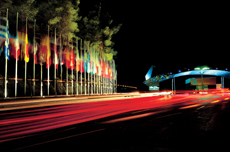 In addition, is home to two Casinos, a bowling center and a Wine Hall to test the famous Porto Carras wines. Guests may also enjoy a variety of sports and entertainment facilities and two Thalassotherapy & Spa Centers, one of which is the biggest (4,700sqm) in South Eastern Europe. 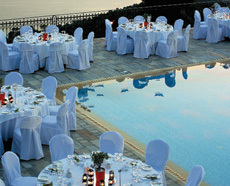 Porto Carras Grand Resort offers the Dine around program, which allows half board guests to experience other restaurants throughout the resort. Kids Club. The resort’s team of experienced activities leaders undertake to keep the younger guests creatively occupied, so that their parents can enjoy a few hours of carefree relaxation. Also our expert Animation Team entertains the guests. Gastronomy. Mediterranean cuisine, local specialties and gourmet delights await you in a wide variety of restaurants and bars with fabulous views of the sea and the marina. Also, Porto Carras hosts every summer the Greek Gastronomy Festival, with the famous and awarded Greek chefs to sign the most exciting and delicious dishes. Excitement is in the very air at the two cosmopolitan Porto Carras Casinos. Roulette, black jack, slot machines and all the other games of chase, plus daily draws for special gifts, guarantee you a wonderful evening. Flexible enough to be partitioned in three acoustically sealed areas, can comfortably host independent events or meetings that are part of the large – scale event. 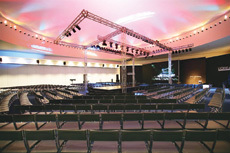 Thanks to its privileged location, it is suitable for congresses, concerts and exhibitions. 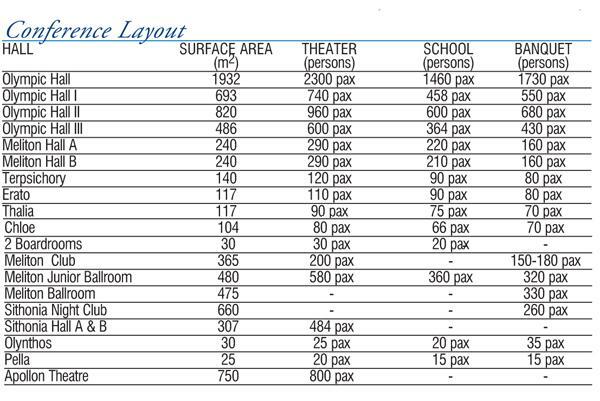 The Olympic Hall is ideally supplemented by 2 theatres, Gina Bahauer (indoor 454pax) and Apollo open theatre (800pax). Also more than 20 indoor meeting rooms throughout the resort can accommodate from 10 up to 400 delegates. Entertaining and dancing at The Meliton Club.